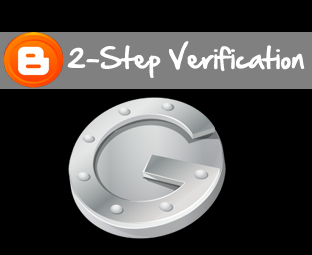 What is Google 2-Step Verification? It is the kind of functionality which confirms twice whether it is the true owner of a blog or an unwanted personality is trying to access the account illegally. Normally passwords can be cracked because peoples are too lazy to change their passwords even if they receive a security warning. Well, 2-Step Verification is the perfect solution of that. For instance, the hacker knows your Blogger Username and Passwords even then they cannot get into your account, because they won’t have a time limited random security code (provided by Google Authenticator). Since, Your Blog is directly linked to your mobile so whenever somebody attempt to login into your account it send a unique verification code to your preferred mobile number. The steps are pretty much straightforward, and it would barely take less than 10 minutes to complete the integration. Just do as mentioned below. Firstly Login to Your Blogger Account. Now Go To Google Account Security Page. Press the EDIT Button next to (2-step verification) and proceed to the next step. Now you will be able to see a new window, just ignore everything and Press the “See How it Works” Button and move to the next step. Now you will see a page which describes the fact why its significant to use Google Mobile Verification system. Just Press the “Start Setup” Button and move on to the next step. Then you have to insert your Mobile number, make sure you insert the correct mobile number because you will receive all the verification codes on the same number. Once you have entered your mobile number, just press the “Send Code” button. Now you will receive a Message on your mobile which would consist of six digits “Google Verification Code”. Just insert the security code to confirm that you are the mobile holder and hit the Verify Button. Lastly, press the confirm button and your 2-Step Verification have been applied and activated. Now your blog is secured and only you can access it with the help of Google verification code that you can receive on your mobile device. Now whenever you will login into your Blogger account, you also have to insert the verification code that you will receive on mobile. You have to insert the verification code each and every time until you allow the app to remember your computer’s Mac Address. You might be thinking, the process is extremely complicated but once you successfully setup 2-Step Verification things would be pretty much on the simpler side. Truly, it is one of the safest and secure ways to protect your website from unwanted IPs and protocols. The SMS that you will receive from Google is FREE of cost which means your cellular network will not deduct a single penny. Fancy your chances with Google Mobile Verification and we are quite sure it would never let you down. We are also using the same functionality on this blog and so far it’s just splendid. If you have any difficulty or query feel free to ask till then, Peace, Blessings and happy securing. I like what you have done with your blog. I would like to do something like this but I'm computer illiterate. Just found your site and need to start reading your first post to educate myself. Well Our Posts are Designed in such a way that even a Kid can Follow Them. We Appreciate that you are interested in Increase your knowledge. That's a Great Thing for a Blogger. 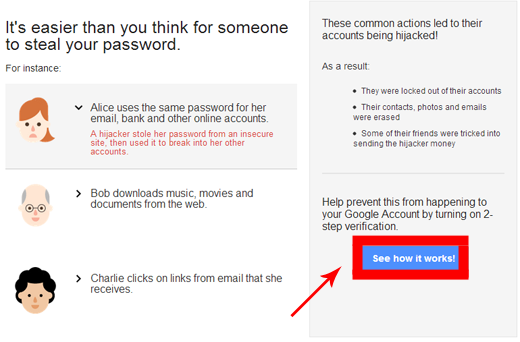 Do Apply 2-Step Verification because its something that would keep your site protected. Peace and Blessings. simple and easy.But, bro what if we have to access our blog at eid :p.
Well, i would like to add one thing here, since we don't like entering verification codes every time so it would be better to trust at least one computer which may be your desktop or laptop. n yup, never disclose your security tricks in public. 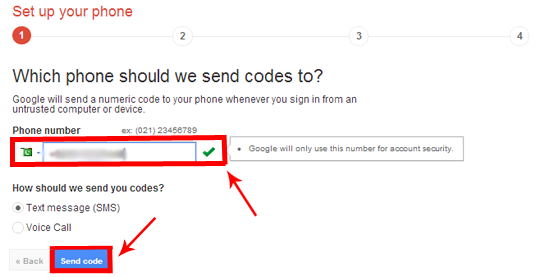 Though Backup Codes we can access our Google Account without inserting the Code that we should receive on Mobile. That's would work awesome too. We will surly Update our post within 24 Hours. Peace and Blessings Sis. Aye Aye Captain :) But I can Bet No one can Hijack my mobile number. Thanks for the Advice Sis. I would like to start from your very first post. You should have categories for your articles, that would make it easier to find older posts. I like your style, it's easy to follow and I think I will learn a lot here. BTW, it is funny you have an article on getting more American subscribers and I have been looking for Indians and Pakistanis. I wanted more of an international crowd for my blog. I am from the U.S.
Bro Why are you deleting my comments. Actually in Past, We do have a Archive Page, Where our all articles were arrange in an systematic order. Thanks for the suggests we would reconsider it once again. US Traffic is something very precious for a Blogger that's why every one is gaga about it. The only reason why we wrote that US Article to tell our readers how you can Get some Quality US Views. The Reason we are removing your Comments is that, You post irrelevant Comments Like "Nice Sharing", "Good Work". There is no place for these kind of same. And Moreover, you also include a Link Back to your site. Using 2 step verification. Be careful to opt Remember me for 30 days check option on devices out of your premises. Wow Nice POst : Find more here ! Nice Post. Applied the security for my blog. That is a good tutorial. I added two setup verification to my blog.